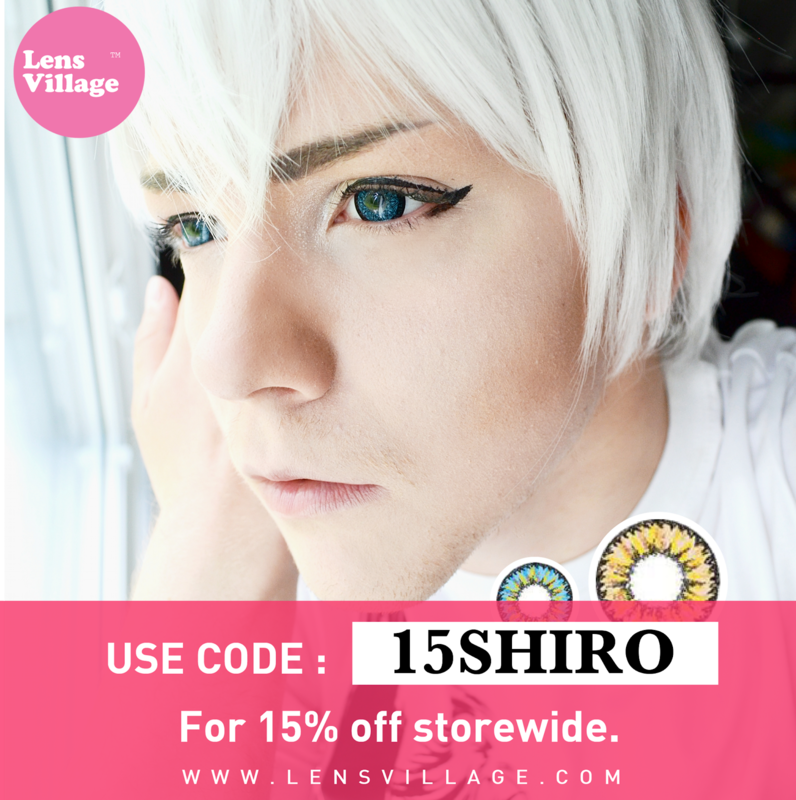 Shiro Samurai's Cosplay: Con roll ticket blast! 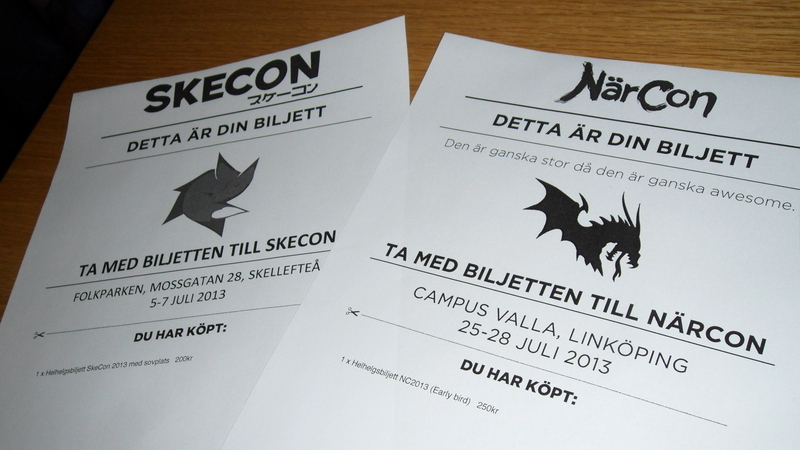 Today I've been grabbing myself tickets to two anime conventions in Sweden that I will attend in July! Why? Because it's better to be early than too late and because JAG ÄR SÅ JÄVLA PEPP!! 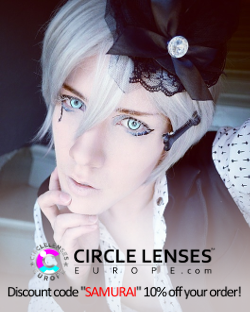 <3 Yeah, there's Desucon coming first but I'm still pepp for these! Närcon had a "pre-order advantage" for those who answered their earlier attendant feedback enquiry or bought tickets to Närcon Vinter before the "Conbopaket" was released... I think. Whatever it was I was one of the people who had the privilege so that I could order the Närcon tickets already today (21st March) during the pre-release instead of having to wait until the real date - 27th March. I had gotten a personal once-only code that let me order stuff for Närcon, from tickets to Närcon t-shirts before the real date. Of course I bought myself a con ticket only a few hours after the pre-release (aka as soon as I got home from school) just to be on the safe side. I snagged myself one of the 100 SEK cheaper limited supply Early Bird tickets! They only cost 250 SEK when ordinary ticket price is 350 SEK. Not long after ordering the Närcon ticket I felt I could as well buy a Skecon ticket too while I was on the roll! Skecon had already released the tickets some time ago (400 pieces) but I hadn't instantly bought one because last year I don't think they sold out everything.. and they had 200 tickets back then. Oh well, Skecon has said this year it will be bigger and more awesome with artists and stuff. Also, last year's Skecon left a good impression on me and because I want to support con's in the north and it's a lot cheaper for me to travel there I really want to go this year too! I secured myself a Skecon ticket as well as bought one for my friend Sairu-chan! Notice how they are all on the same month and how close Skecon and Animecon are? 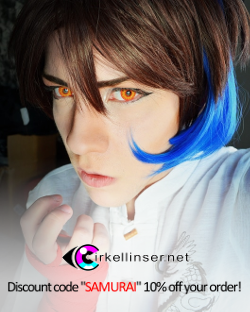 Skecon is one weekend and Animecon directly after on the next weekend.. and then a weekend with no con and then BOOM NÄRCON!! asdfghjlöä~ I'm so exited! >w< Just can't wait for these cons! (Especially Närcon :'D) And also, Thank you so much for buying my ticket to Skecon! <3 o(>w<)o I really appreciate that! I can't wait either agjhds;shjg! Heheh I won't mind too much if not.. ^^"
Oh well i know the stress part feeling but still. 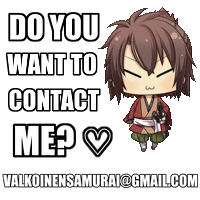 If you can and feel to going for Animecon do so.